Arturo Merino Benitez - Mataveri Intl. 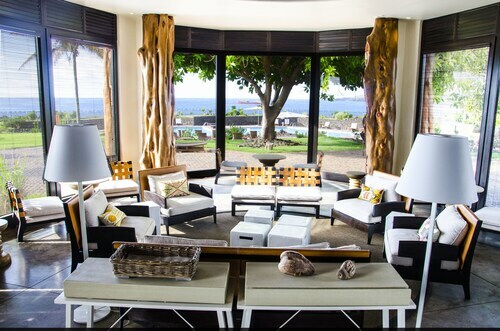 Situated near the airport, this luxury hotel is within 1 mi (2 km) of Pea Beach, Ana Kai Tangata, and Mercado Artesanal Municipal. Ahu Vai Uri and Ahu Tahai are also within 2 mi (3 km). Situated in Hanga Roa, this hotel is within a 10-minute walk of Pea Beach and Mercado Artesanal Municipal. Ahu Vai Uri and Ahu Tahai are also within 1 mi (2 km). 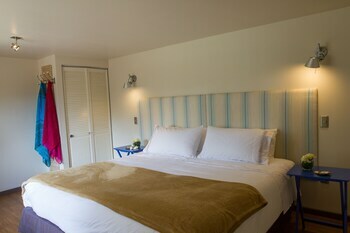 Situated near the airport, this hotel is within 1 mi (2 km) of Pea Beach, Mercado Artesanal Municipal, and Ahu Vai Uri. Ana Kai Tangata and Ahu Tahai are also within 2 mi (3 km). 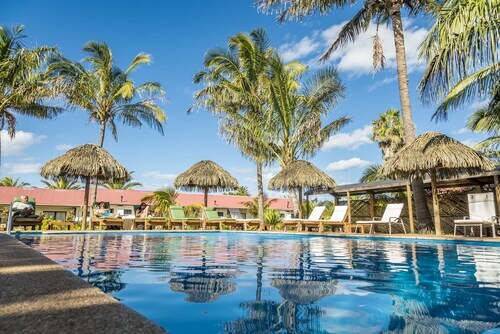 Located in the heart of Hanga Roa, this hotel is within 1 mi (2 km) of Pea Beach, Mercado Artesanal Municipal, and Ahu Vai Uri. Ana Kai Tangata and Ahu Tahai are also within 2 mi (3 km). 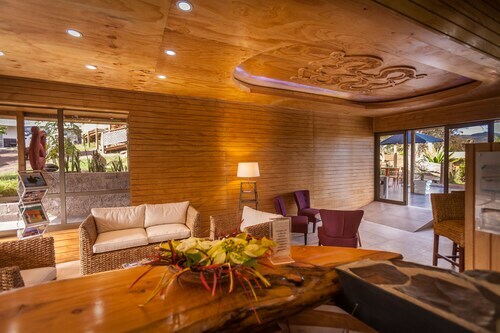 Situated near the airport, this spa resort is within 6 mi (10 km) of Ahu Akahanga, Puna Pau, and Vaihu. 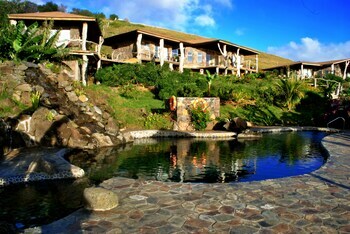 Ovahe Beach and Anakena Beach are also within 6 mi (10 km). 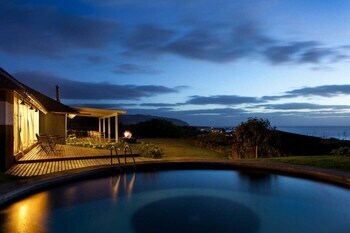 Situated near the beach, this lodge is 0.2 mi (0.3 km) from Vaihu and within 3 mi (5 km) of Ahu Akahanga and Vinapu. 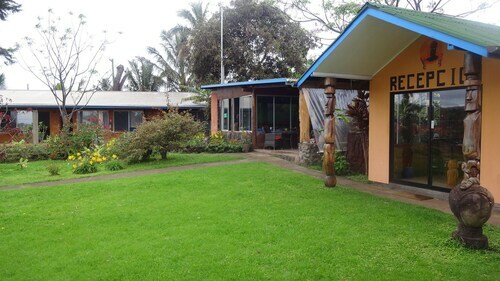 Puna Pau and Ahu Hanga Tetenga are also within 6 mi (10 km). 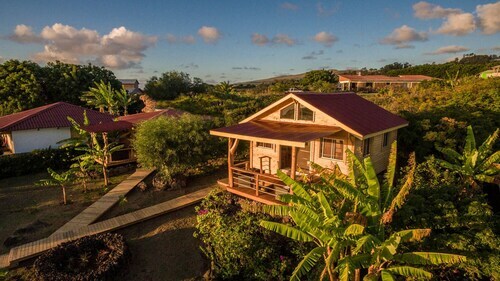 Situated near the beach, this lodge is within 1 mi (2 km) of Pea Beach, Mercado Artesanal Municipal, and Ahu Vai Uri. Ana Kai Tangata and Ahu Tahai are also within 2 mi (3 km). 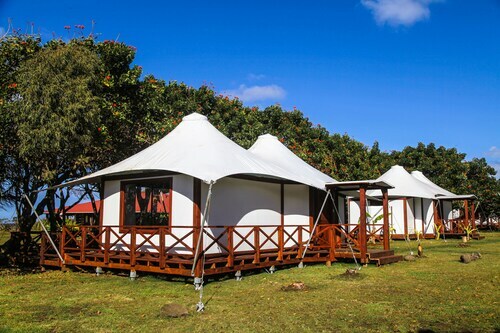 Located in the heart of Hanga Roa, this eco-friendly hotel is within 1 mi (2 km) of Ahu Tahai and Ahu Kote Riku. Ahu Akivi and Te Pahu Caves are also within 6 mi (10 km).